Cartoon by Randy Bish in the Pittsburgh Tribune-Review. 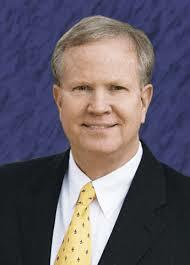 Judy Vail, Common Core Specialist in Calcasieu Parish, wrote a recent letter to the editor. It was riddled with opinions but lacking in facts. Here is my response. Common Core will never solve the true stumbling block called poverty; anyone who thinks so is simply not looking at the facts. She claims to know why people oppose Common Core. Considering that she is one of the core group of teacher leaders chosen by John White to promote Common Core, she most likely possesses only the side of the story with which she is comfortable. To claim that people oppose it only due to national infringement of local control only displays the lack of understanding on supporters’ part. Parents are complicated, loving people, and to reduce their valid concerns to only one category is another sign of one-size-fits-all approach CC supporters employ. As for her statement that Common Core started with the states, that is wrong. The National Governors Association (NGA) and the Council of Chief State School Officers (CCSSO) are NOT the states. The individual states did NOT appoint the people or send any members to be a part of the core group who wrote Common Core Standards. With vast donations of Bill Gates’ money, the NGA and the CCSSO appointed the people who designed the standards that some 45 states would originally adopt. “Common Core standards actually spell out what math and reading skills students should have in each grade…” That’s exactly what the Louisiana Grade Level Expectations (GLE) also did, and they were ranked as some of the better ones in the nation. Poverty, however, dramatically affects our performance on state rankings, but instead of addressing poverty, CC supporters claimed the GLEs were deficient. It’s a perfect example of addressing the symptom while ignoring the disease. Vail also uses faulty logic. She claims that since less than 20 states have signed up for the PARCC assessments, how can this be a national test? She failed to mention that PARCC is only one of two groups designing such tests; the other is called Smarter Balance that has some 21 participating states. Combined, those two groups represent almost seventy percent of the nation taking tests based on the same standards. “If Louisiana were to delay the use of PARCC, costs could rise to the millions of dollars.” Actually, the Pre-PARCC tests cost between $8-11 dollars per test, while the PARCC tests conservatively were estimated to cost $29 per test—almost triple the cost—and that’s not including the exorbitant amount of computer upgrades each district must absorb as the tests only run on the latest computers. How did 45 states somehow think it a good idea to hand over their educational future to a group of people who were not teachers, had never written standards before, and had no grasp of cognitive development in children? What could possibly go wrong? As for my mathematical experience, I trust the words of Dr. James Milgram, who served on the Verification Committee for CC and refused to sign off on it, and Dr. Ze’ev Wurman who has written extensively on the notable omissions in the math standards: removing Algebra I from the 8th grade, replacing traditional foundations of Euclidean geometry with an experimental approach, removing topics in Algebra II and Geometry that make a college-ready student really only ready for a two year college; failure to teach prime factorization and least common denominators or greatest common factors; failure to address mathematical induction; barely touches on logarithms; incompletely addresses conic sections; and the list goes on. Vail lastly states that Louisiana is ready for CC because the state has worked tirelessly to implement these standards. I certainly don’t have Vail’s 40 years as an educator, but in my 24 years, I have never seen such a haphazard rollout of such a poorly-conceived plan. I’ve had five different curriculum maps in the last five years, all significantly different and all implying that we apparently had no clue what we were doing from year to year. She closes with the usual argument that the state’s 48th place ranking means we must keep Common Core. As long as poverty remains the real problem, we will always rank near the bottom. Common Core will never solve the true stumbling block called poverty; anyone who thinks so is simply not looking at the facts. 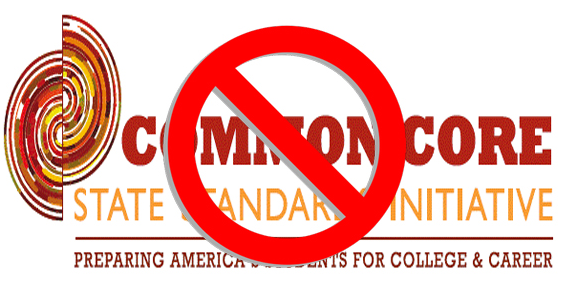 What Would I Testify About Common Core? Sometimes the most random things inspire a new thought or a new way of thinking. That just happened to me March 4th, 2014. Every night, I read a book to help me sleep, unless if it’s a cracking good book like Divergent which kept me up instead of proving needed rest (thanks, Jenifer Anderson!) Just before reading the book for two solid hours, I was thinking about testimony I’ve seen lately decrying Common Core and its accompanying PARCC tests from the likes of Dr. Sandra Stotsky, Dr. James Milgram, Diane Ravitch, and Mercedes Schneider. I wondered to myself, “What would I say about Common Core and PARCC?” It’s an important question that all teachers should be able to answer for themselves. I would say that it’s been thirty-three years since I sat in an Algebra I class watching a magnificent teacher standing in front of an ancient chalkboard, with chalk dust appropriately sprinkled on his dark colored pants. That man held such passion for what he was doing, and I realized that I wanted that same passion in whatever I did. It was a double blessing because I also realized that teaching other students, just like he was doing, was something I wanted to do as well. In that fall of 1982 was when I knew I was going to become a teacher, and it’s greatly due to Dr. Donald Voorhies, math teacher extraordinaire and now, a dear friend. 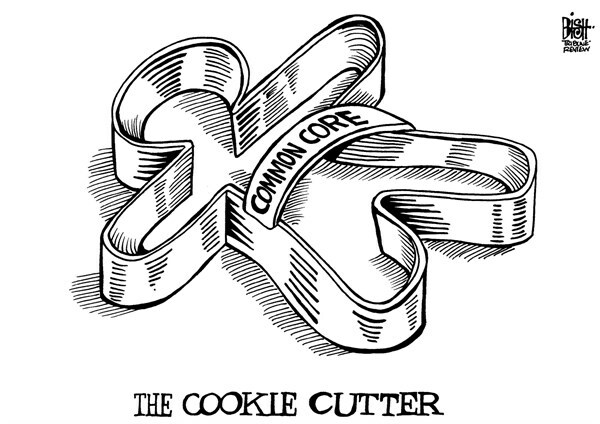 I have never wavered in those thirty-three years, though the present climate is certainly doing its best to penalize and stigmatize good teachers for resisting the folly called Common Core. I would also say that I’ve never quite realized what I wanted to do with those students I’ve taught since 1991. I have taught every math except Geometry and every social studies class out there, so I’ve seen a wide spectrum of courses. It was only last night that I understood with clarity what my goal of teaching was: to create educated, loving human beings. I understand wholeheartedly that the subject matter is important, and I would never shirk on teaching the specifics of any subject, but it’s what goes on WHILE teaching the class that also matters. How I interact with the students, how I set an example of appropriate behavior—molding the good, eliminating the bad—and how I craft their interactions with others, those are the things for which I live. When a student once came to me after class to pay for another student’s class fee because that student couldn’t, when a student stops to help another one whose books have just fallen, and especially when a student came to hug me after my mother had abruptly died only seventeen days after being diagnosed with cancer, it is then more than ever that I know I’m in the right profession. And I have news for Common Core and PARCC supporters: those things will never test how successful my students will be at that never-ending class called life. There were more test designers than teachers crafting Common Core, and it shows in its unrealistic arrangement of subject material. Those PARCC tests will never evaluate the kindness and joy that these young adults-in-training will have for life. Louisiana may still be marching to the Common Core Madness, but now that parents are becoming more aware of its inflexibility and its affinity for teaching alternative methods of solving problems as the only acceptable method, the march has begun to stall. Most importantly, it will never help me create aspects of an educated, loving human being. And then I would thank everyone for listening attentively. It’s the polite thing to do. Who Needs Common Sense When We Have Common Core? Common Core was created to address multiple problems: 1) Our ranking compared to other developed nations was slipping, and 2) universities were getting high school graduates unprepared for college and dropping out. In order to fix these problems, the Council of Chief State School Officers and the National Governors Association, with heavy financial support from the Bill Gates Foundation, oversaw the creation of Common Core, a set of standards that all children should reach by a certain age. Slipping in world rank and graduating ill-equipped seniors are problems. You do NOT fix those problems by creating standards with NO involvement from the people who have to implement those standards. The standards’ authors work for ACT, Achieve, the College Board, and Student Achievement Partners; not a single teacher grades K-12 was invited or included. In fact, the lead English standards writers were David Coleman and Susan Pimentel, who have never taught English at the high school or collegiate level, and who had little experience concerning instruction, curricula, or research. I have no problem with improving schools in Louisiana and in the USA; I have problems with select individuals who’ve never set foot inside a public school dictating to K-12 public school educators the skills all students should know. This group has radically altered the content taught and the way it is taught IN ALL GRADES across 45 states, many of which are beginning to regret this relinquishing of sovereign control over education to a faceless laundry list of collegiate expectations. Texas, one of the few states which refused to adopt Common Core, did so partially because Texas Commissioner of Education Robert Scott said he was pressured to agree to the standards before they were even completed. This just defies all reasoning and common sense. But who needs common sense when we have Common Core? Feel free to share this with anyone and everyone you know.